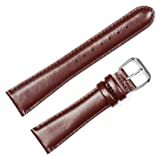 This quality genuine calfskin leather watch band will give a brand new fashionable look to any watch. It has a flat desing (unstitched). It is a perfect combination for comfort and style. 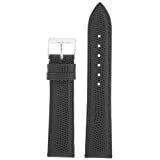 20mm James Bond Black / Grey – With Gold Buckles Nylon Nato Ballistic Military Watch Band Strap G-10! Fits All Watches!!!!! 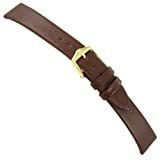 18mm Classic SS Nylon Solid White – Easily Interchangeable Replacement Military Watch Strap / Band – Fits All Watches!! !